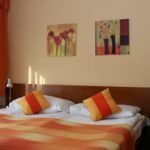 Rooms, services The guests of Hotel Napsugár Hévíz may stay in 53 nicely furnished, comfortable rooms in Hévíz. The hotel is prepared to host pets, providing the opportunity of a comfortable stay for both you and your four-legged friend. The pet may be taken with you for an additional fee. The hotel is happy to have you in the restaurant for a hearty lunch or a romantic dinner. If neccessary, you may park your car at the parking place of the hotel for free. At the hotel you may go online via wireless Internet connection (WiFi). If you wish to learn more about the exact scope of services provided by Hotel Napsugár Hévíz (including those available for an extra fee) or about the equipment of the rooms, you can find the complete list on the information sheet below and on the information sheet of the given room. Location The thermal spa of Hévíz is 800 meters away from the hotel. Catering The hotel is greeting you with rich and tasty breakfast every morning, which is included in the price of the reservation. As the type of catering half board can also be requested when placing the reservation. Payment You may pay your reservation by the following payment methods: cash, bank transfer, credit card, Erzsébet Gift Voucher. Arrival, opening hours The earliest time to check in at the hotel is 14:00, the latest time to check out is 10:00. The personnel speaks English, Hungarian and German. 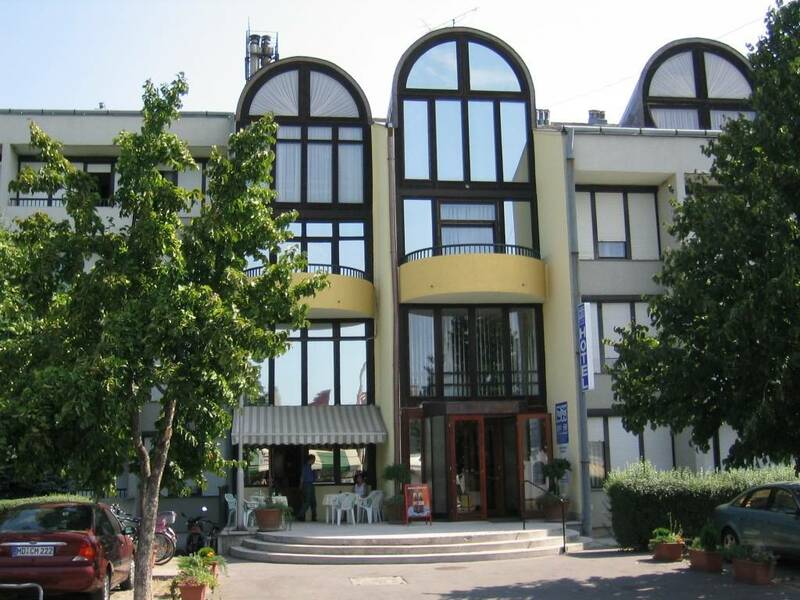 The rating of Hotel Napsugár Hévíz is 9.3 from the maximum 10, 151 based on actual and valid guest ratings and reviews. "A kanapén eltakarítatlan undorító beleszáradt fehér foltok voltak." "Az apartmanra amit kivettem, a oldalon az volt írva, hogy "teljes ház" és a fotókon egy földszinti teraszos, udvari apartman volt. Ehelyett kaptam egy második emeleti, 2 szobás panellakast, utcai erkéllyel, sötét konyhával. Nem erre számítottam. A falak papírvékonyak, minden szó athallatszik a szomszéd apartmanokból. Az ágy nyikorog. A folyosón mindenféle egészségügyi kezelő helységek voltak, ettől kórház érzetem támadt." 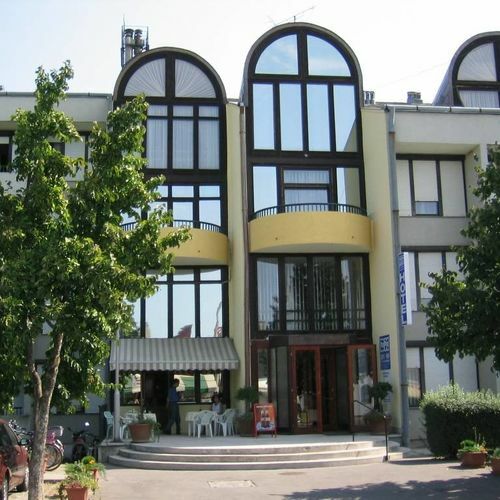 "Nagyon kedves a személyzet, finom a reggeli, jo a szauna"
Based on the reviews and comments of actual guests, the services of the Hotel Napsugár Hévíz have received a high rating of 9.2/10.